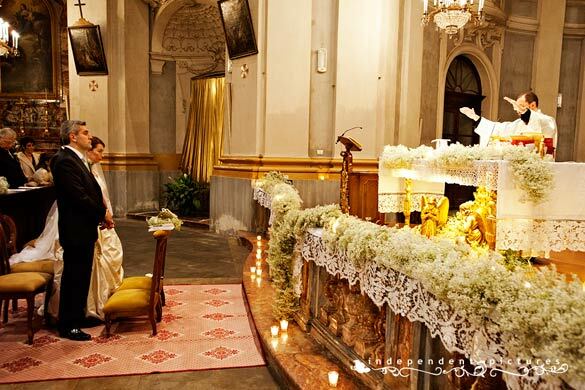 The wedding we are talking about this month is one of the most elegant yet amusing one of this year. Luisa and Roberto are two friendly Italian guys, working for the business in Milan who decided for Piemonte countryside for their wedding. They decided for Canavese region North from Turin a lovely country area where you could find wonderful churches, villas and castles. This is where Roberto and his family come from. Because of their business commitments they did had much time to dedicate to the wedding planning and they were afraid to be late to arrange all details hey want. Our planners were happy to support them and helped to realize all their wonderful ideas to make their dream come true. Luisa chose as theme colors white, ivory and silver. Luisa’s bridal bouquet was white. It was a delicate arrangement of lilies-on-the-valley. Being a late autumn wedding the flower was a little out of season so this was a brave choice! Floral designers did their best to arrange it and they did it! This delicate composition just enhance Luisa’s natural grace. She was like a princess in her satin dress with Swarowksy shoes! 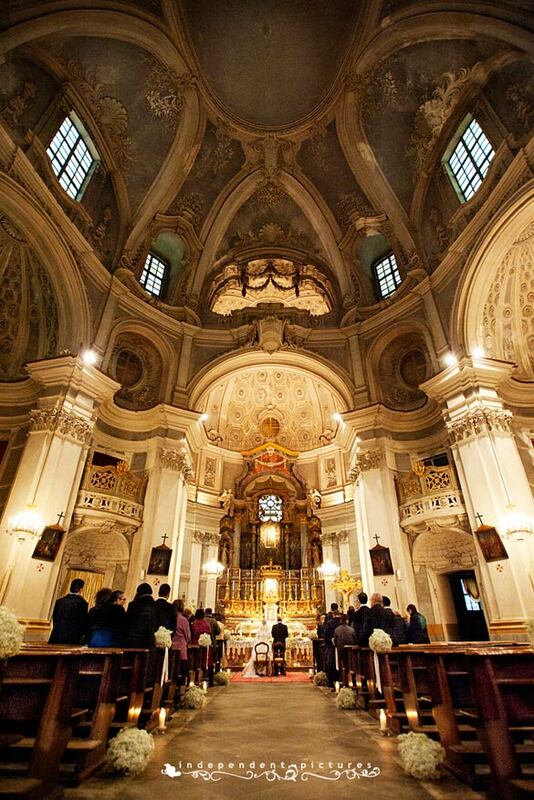 Church arrangements did not require many details. 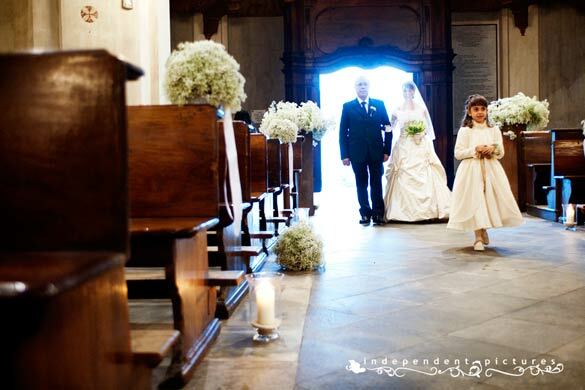 Two baby’s breath – gypsophila – garlands on the main altar were enough to enhance the beauty of it. 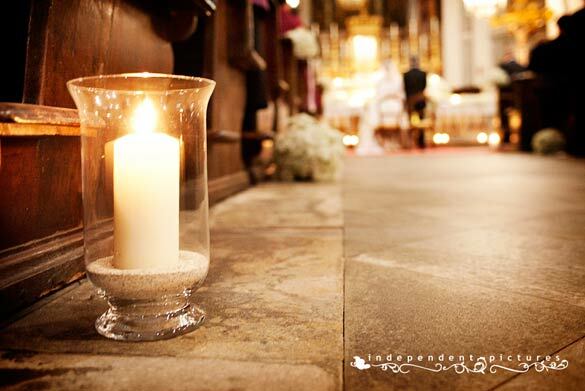 The church was really tall with many frescos and to add another little touch Luisa wanted some more gypsophila every other pew and a hurricane vase with sand and candle inside. 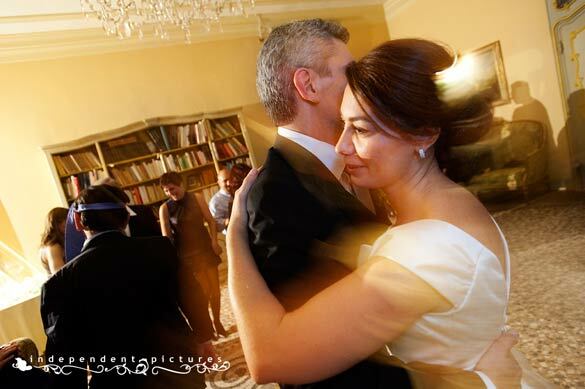 The final effect at Luisa’s arrival was really amazing! 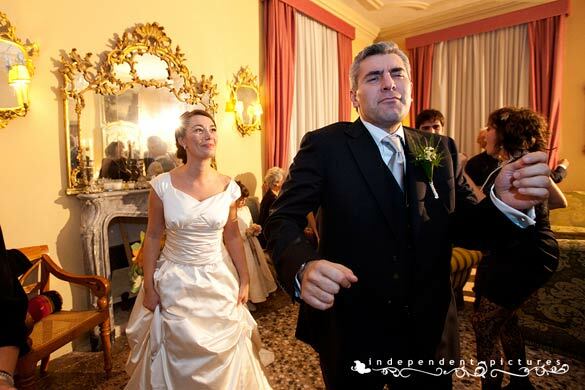 After the ceremony bride groom and all their guests reached close by Villa Matilde. 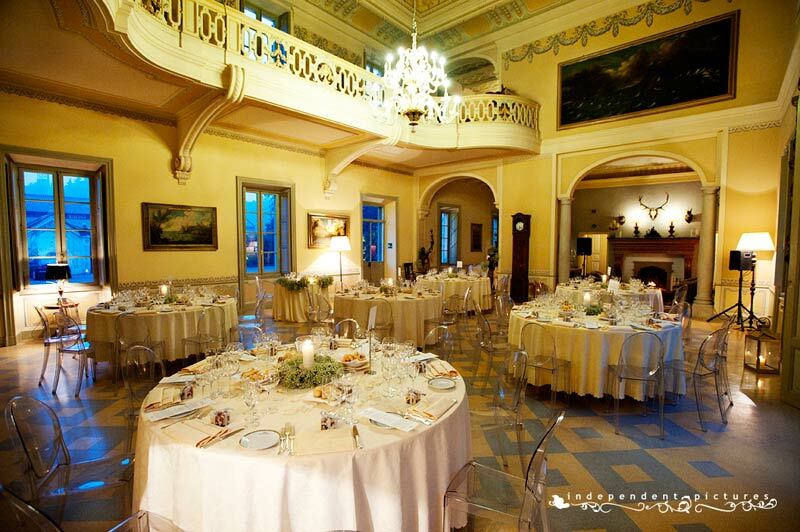 It is a wonderful villa hotel couple of kilometers from the church in a special village of Canavese area. 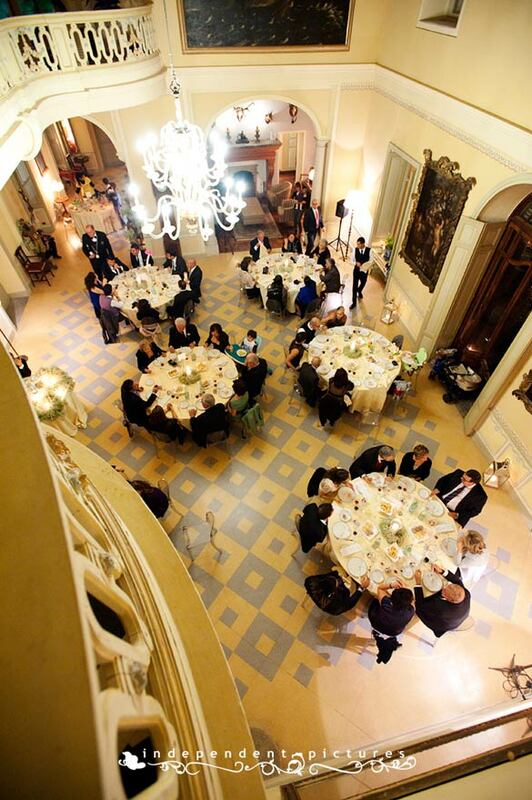 All the guests had a wonderful aperitif in special frescoed rooms by the function room of the villa. 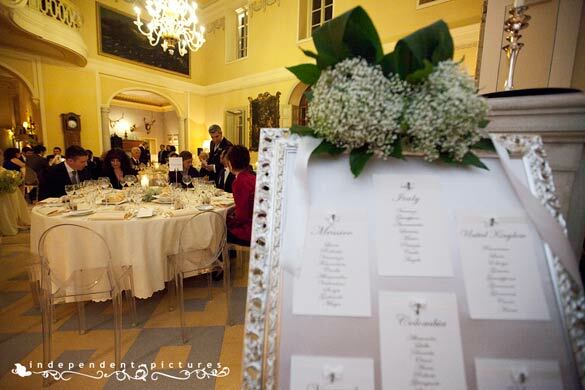 A great table chart with a wonderful silver frame and some gypsophila flowers on introduced the guests to their seats. 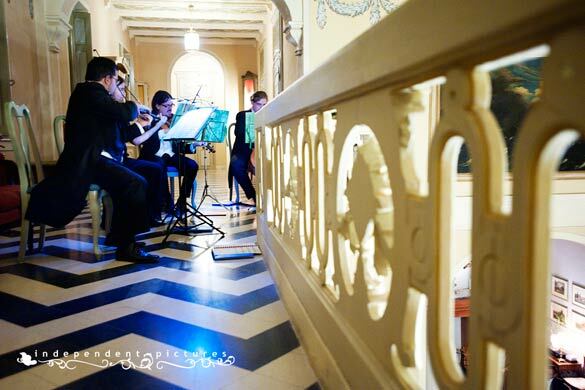 An extremely good string quartet accompanied the aperitif and dinner with their sweet music. They were playing from the balcony of the function room. They played some classic music and some modern also with soft and lovely arrangements. The fun part arrived for the after dinner. The mood of the party changed and the whole party moved to another room. 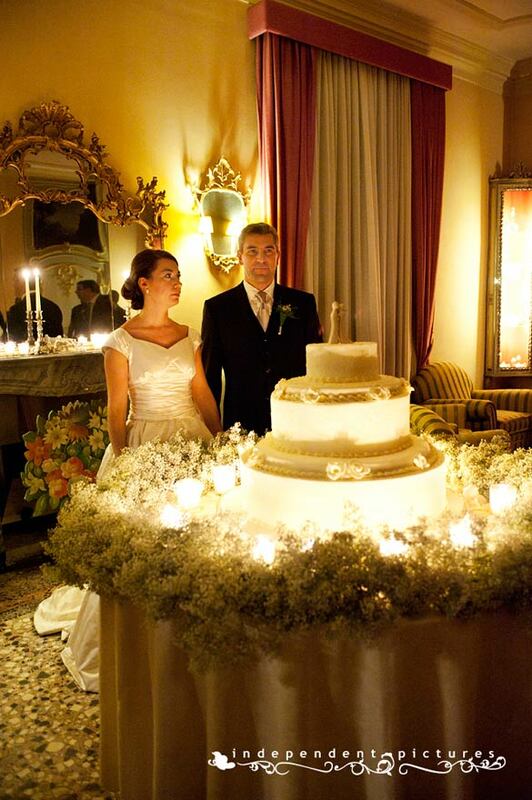 An amazing wedding cake was waiting for Luisa and Roberto together with candles, soft lights and wonderful gypsophila. Cake topper was a classy touch. It was designed and hand made by a skillful designer coming from Lecce – Apulia – where Luisa and her family are coming from. Side of the table of the cake there was the sugared almonds tasting one. 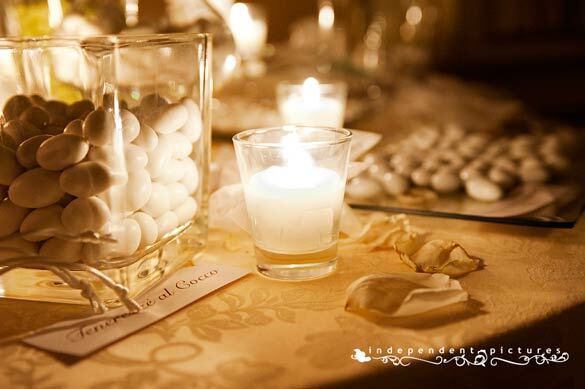 Many glass bowls with different flavors sugared almonds with candles and little organza and satin bags where all guests could put a selection of sugar almonds to create a special favor for their own. And why don’t taste them trying to guess the right flavor? And then….dances! Roberto was the best dancer for sure he looked like a professional dancer! And last but not least Roberto and Luisa to say thank you to their guests decided to give them a very personal favor that was a real gift. This was a wonderful tea cup created and hand made from a ceramic artisan in Lecce – Apulia. On the top of the cup Luisa and Roberto initials painted. Isn’t it a great idea? This was surely one of the most elegant wedding of this year but we will come back with 2011 season with many other stories to tell and lot of new ideas. Stay tuned. 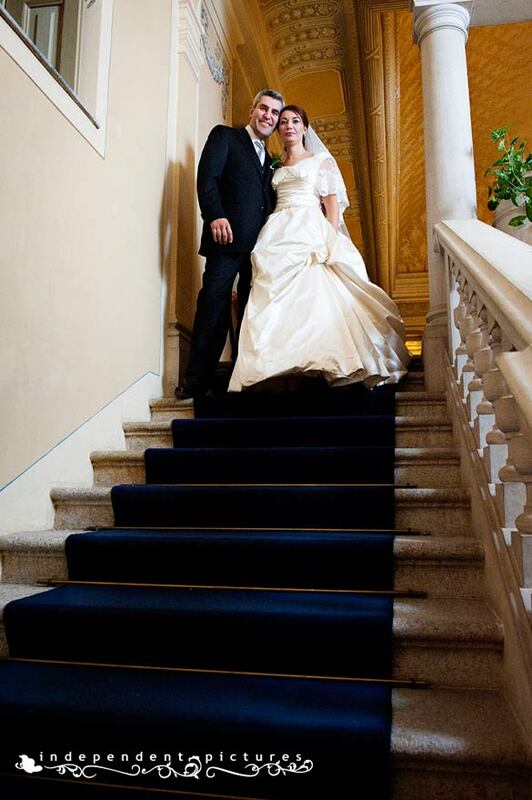 Our congratulations and best wishes to Luisa and Roberto and also a special Thank to Independent Pictures from Torino who gave us great shots of this magic event.